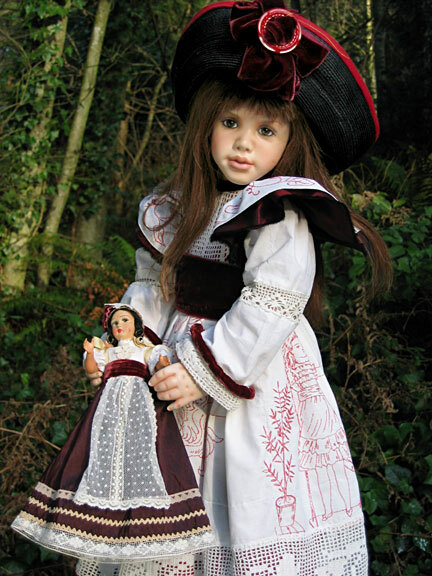 Ruby wears a white cotton dress, beautifully embroidered with whimsical scenes in deep red and trimmed in silk velvet. This unusual outfit is made from a child's quilt from the 1940's. 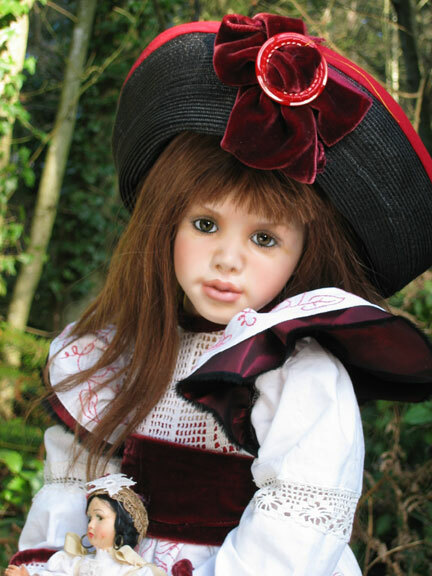 Her black straw hat is Italian and she carries a small vintage doll.